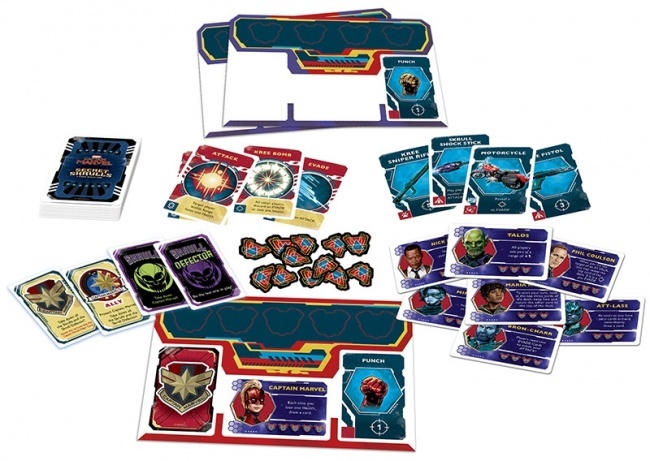 USAopoly will release Captain Marvel: Secret Skrulls, a hidden identity game that borrows mechanics from dv Giochi’s popular Bang! 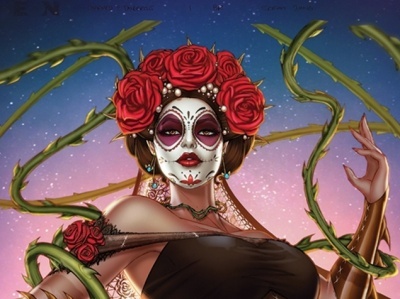 card game, in Q1. 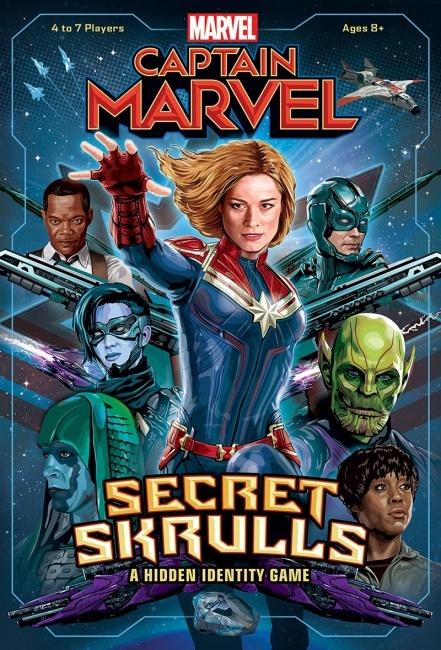 Captain Marvel and her allies must defend Earth from the shape-shifting Skrulls that have infiltrated the human populace. Players take the roles of Marvel characters, and must determine whom to trust, defend their alliances, and restore order to the planet. 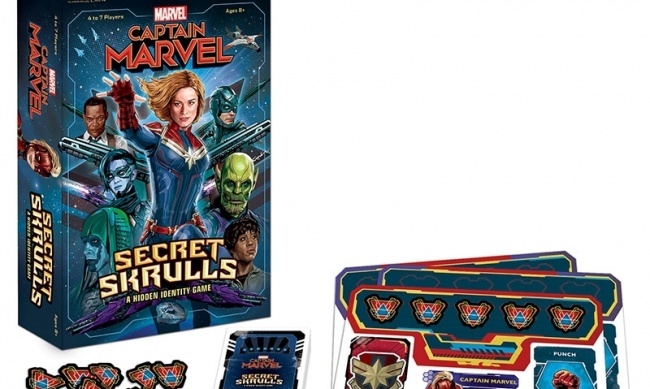 The box includes 7 Alliance Cards: 1 Captain Marvel, 2 Ally, 3 Skrull, 1 Skrull Defector; 13 Character Identity Cards; 80 playing cards, 7 reference cards, 7 player cards including a double-sided card for captain Marvel, 46 health tokens, and rules. 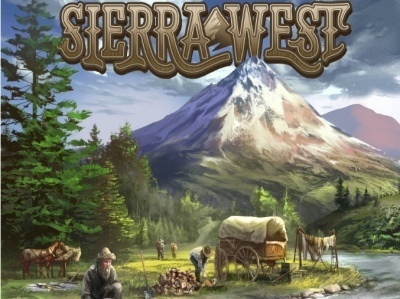 The game is for 4 – 7 players, ages 8 and up. MSRP is $24.95. Marvel Studios’ Captain Marvel opens in theaters on March 8 (see “New 'Captain Marvel' Trailer and Three Posters”).